Read book synopsis below, but keep reading if you want the sneak peek into the books! 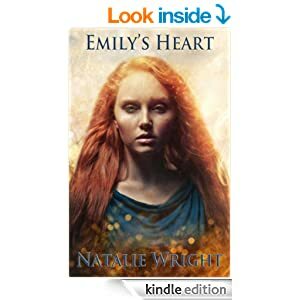 Seventeen-year-old Emily Adams unintentionally unleashed a shadow god’s dark energy power into the world and started an Apocalypse. But Emily is also the only one that can end the dark god’s reign. Though the powerful faerie magic of the golden torc is still coiled around her arm, self-doubt threatens to undo her. Emily wants nothing more than to feel the soft kiss of her one true love, but he won’t even speak to her. Her first crush is still quite dead and her best friend remains a prisoner in the dark god’s house of nightmares. A growing legion of black-eyed shadow people, devoid of conscience, roam the streets. Emily needs help now more than ever, but redemption seems far off indeed as she faces the expanding darkness alone. Amidst chaos and ruin, will love blossom in Emily’s Heart? The Apocalypse didn’t start with four horsemen, harbingers of the horror to come. It didn’t start with a plague, or pestilence, or even zombies rising from the dead. Check out the 3rd in the series for the exciting conclusion to Emily’s journey! 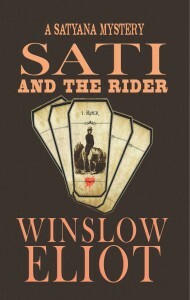 Winslow Eliot has just launched a new mystery series – featuring a fortune-telling sleuth! Satyana – or Sati, as her friends call her – is a bold and alluring intuitive consultant, who’s smart, fiercely loyal, has a big heart and a knack for getting into trouble. SATI AND THE RIDER: In her first adventure, a charming young man brings an unexpected delivery and Sati’s life is changed forever. She’s thrown into an adventure of hide-and-seek, fraud, murder, and a strange cult, and she needs to use all her powers to follow a mysterious trail to its surprising end. Winslow Eliot is the award-winning author of Heaven Falls, A Perfect Gem, Pursued, The Happiness Cure, and Bright Face of Danger (originally published by St. Martin’s Press 1993). Bright Face of Danger has been published in four separate French editions: as Fatale Vengeance (Harlequin) and, most recently, as L’Innocence du Mal (Mira Books). Her books have been translated into eleven languages and published in twenty countries. Her greatest pleasure is entertaining readers with tales of romance and thought-provoking posts about writing in general, and poetry, teaching, and inspiration in particular. Her free online newsletter, WriteSpa – Oasis for Writers, welcomes visitors from all over the world. 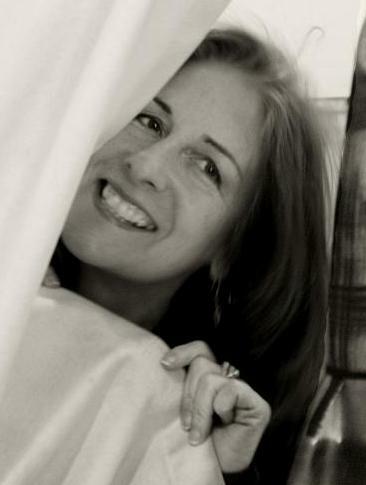 Besides writing novels and managing WriteSpa, she writes poetry, loves belly-dancing, singing and playing guitar, Tarot and all kinds of divination, sacred places, reading, and people. What is it about the wonderful world of intuitive consulting that’s so appealing? If you’d like to learn more about the tools Sati uses in her sleuthing, especially the lenormand and tarot cards, there are many excellent resources, books, groups, teachers, communities, and helpers. But if you’d rather simply continue your exploration in the smartly-gloved hands of Satyana, she’ll be back soon with her next adventure: SATI AND THE CLOVER. I don’t often get men as clients. Usually if a man shows up for a consultation, it’s because his girlfriend or wife pushed him to it. When they do come in, they tend to be reluctant, or skeptical, or nervous. But Joel Wakefield was different. Not that he was chatty or curious. No, he was chilly and dry as unbuttered toast in an Italian marmalade suit, a beige cashmere coat draped over his arm, fawn leather gloves, somewhere between forty and fifty, with an ultra-smooth chin that jutted aggressively. He certainly was not reluctant or nervous. He set down his gloves and a manila envelope on the mantel, and frostily asked me to advise him on whether or not he could trust—completely—one of his employees. I like to get to know my clients before I dive right into a reading, so after inviting him to sit down, I asked him what kind of business he was in. I refrained from making a joke, since he didn’t seem the humorous type, and grew quiet inwardly. I’d been giving readings for people for so long that by now it hardly took more than a minute to grow still inside. When I was ready, I checked a sample of his dubious operative’s handwriting, which I had the foresight to ask him to bring. I checked the o’s and a’s first—no loops. They were closed, too, so I could tell he wasn’t much of a talker. But they were clean and clear, so I knew he wasn’t hiding anything from his boss. The answer was unequivocal: yes, his employee, Simon Jones, could be trusted completely. But I didn’t make my answer unequivocal. Whenever I was asked questions of this kind, I really needed to be absolutely sure, because Joel Wakefield implied he was trusting this employee with large sums of money. And, more importantly, I didn’t want him to walk out without paying for the full hour appointment. I seriously needed the money. So I did a little scrying with the crystal ball, and studied the tarot spread I laid out on the low oak chest between us. The 10 of Swords seemed to vibrate and shift slightly and I turned my attention to it. The exhausted figure sprawled face-down on the hard ground in a pool of crimson. Something coming to an end. I turned back to the handwriting and recognized signs of repressed anger. Another thing I noticed: the writer was depressed. Aggressive, but I could easily glimpse his feelings of hopelessness and despair. The jagged phrases sloped down to the right—almost off the edge of the page. But when I began to say some of this out loud, my client reminded me sharply that he was not asking about the mood of his employee. All he was asking was whether or not he could trust him. He assessed me silently, as though I were a department store suit on a hanger. His bronze shoes gleamed in the low light. He was sitting with one leg crossed over his thigh so I could see the shine on the leather sole. It was barely scuffed. I wondered what he was waiting for, because our hour was up and I was expecting my next client at noon. I glanced at the clock on the wall, making a point. He saw me do it and a dimple creased his cheek as though he was trying to smile but it hurt. He didn’t look like he intended to leave. There was definitely something else on his mind. Another thrilling story by the international best-selling author of “Mark of the Successor”! Fin depends on her companions to keep her safe…and out of chains. As one of the Amari, the only race that can harness magic, she longs for a normal life. One where she didn’t have to constantly look over her shoulder, and she could fall in love. Alaric fell hard for Fin from the moment he laid his eyes on her three years ago. He swore an oath to keep her safe, even if it meant his life. But he knew that any relationship he could hope to have with her would be on her terms. When a king offers them the chance at a normal life, Fin’s cautious. And rightly so, as there are others who think she’s the one to lead the Amari from a life of slavery. Captain Roberts watched the fight unfold. The fools. That had to be the dumbest set of bounty hunters he’d ever seen. The one remaining hidden was fairly good, but still clumsy. No wonder it’d taken them three days to catch up with the Amari and her friends. When she killed the one, he knew it was time to move. He signaled to one of the men behind him. “Get everyone mounted, move around to surround them. But don’t come out until my signal.” He turned to the man to his right. “James, come with me. I might need your help convincing her to come quietly. We’ll go in on foot.” He nodded once, assured that his men would do as he ordered without hesitation. They always did. Roberts looked back towards the makeshift campsite. Three of them were moving to pack up gear. The Amari still remained on the ground, the archer comforting her. She favored her left arm. “What about the rest of it?” Roberts asked. He nodded in understanding. “Keep your eyes hidden for now. When we need them to know what you are, we’ll reveal it.” With that, he stepped out of the edge of the woods and into the dawn-drenched clearing. He didn’t announce himself. He just walked. They would see him, or he and James would stop close enough they didn’t have to scream and alert anyone else lurking in the woods. The other woman saw them first. She slapped the arm of the two helping her pack up camp. Swords came out quickly. They were well trained. Roberts could appreciate that. All three moved to take positions to defend the Amari. The archer was helping her to stand. He and James were close enough now to see her face clearly. Pain marred the pale skin. She was not well. Suspicion crossed the faces of the ones he could see. “I don’t blame you for your caution. There are many out there who would send better men than the ones you dispatched in hopes to find your companion. And chain her. My liege is not one of those. He would help her, offer her sanctuary.” He walked a few more steps, staying just out of sword range. “Not all feel the Amari are dangerous unless leashed. I can show you the proof of that.” He looked at James and nodded. The reaction was what he hoped for. The one he thought was Emile glanced back and whispered something to the archer. Roberts still wasn’t certain he had the names right between those two. “What is it you want from us? We only wish to be left alone, travel in peace.” The archer spoke, cinching his identity. Alaric, the Islander. “How do you know what I am?” The voice of the woman rose up from behind the group. They parted, giving Roberts the first real look at her. Her shirt was ripped and bloodstained, her red hair escaping from a single braid and framing her tired, pained face. She did not hide her eyes from him. Roberts was taken aback. James had told him nothing of her being royal. From the looks of her companions, they were as stunned as he was. He didn’t try to engage them in conversation. They took only two horses. Alaric rode behind the Amari, while Gwen took the other horse. The other two walked, hands on the reins of their companions’ horses. The expressions on their faces made it obvious that they didn’t trust him, especially after he called out his troops. Roberts sighed. He really didn’t want to do that, but the King had been adamant. Find them, find her, and bring her back to the safety of the castle. Lorien was at the very border of the kingdoms, and tensions were high between the countries. Roberts had pushed his men hard to try and get here before King Lor sent out his own troops to find her. Another league, though, and they’d be far enough into Caerlynn where he could relax. Even Lor wouldn’t cross the border that far. “Except that we did, Captain, and he could see that as a violation of the treaty.” James’ voice was low. “I want to hear this story, sir. 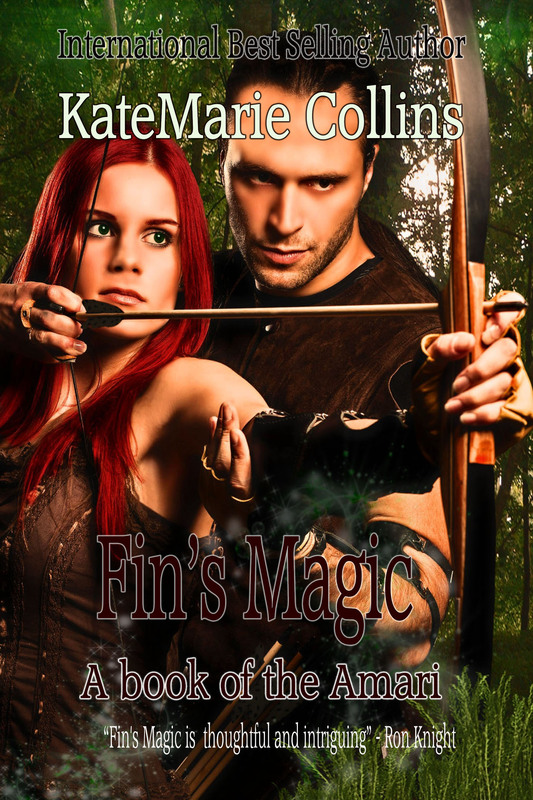 I don’t know it.” Fin’s voice sounded from behind them. 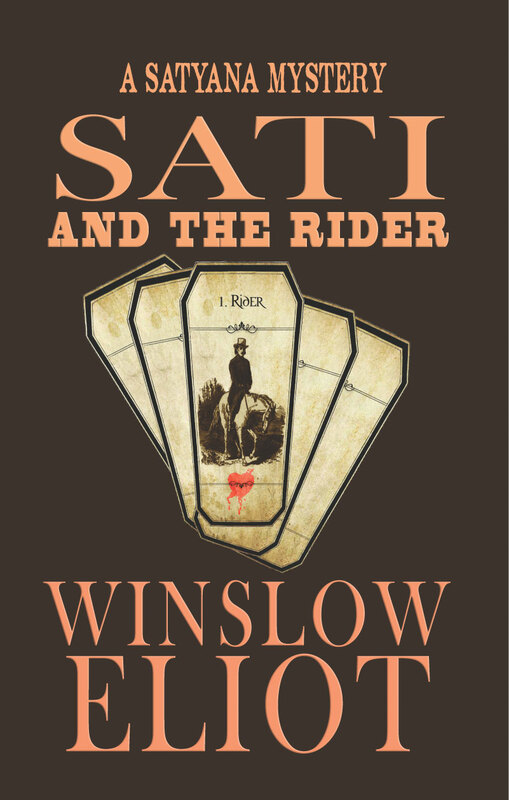 Roberts turned in his saddle, glancing back at her. Her voice wasn’t as unsteady as before. The pain was still marring her features, but it was less pronounced than it had been when they first mounted up. She wore more of a mask now, of her own creating. He nodded to James, the two moving far enough apart to give her horse space to join them. “It doesn’t surprise me, Your Highness, that you–” Raising her right hand, Fin cut him off. Roberts swore to himself. From the tone of James’ voice, he believed every word of the story. Christoph was a just King, unlike his father. Sheltering the Amari was one thing. Helping with an open rebellion? That wasn’t something Roberts thought he’d be able to stomach. “Interesting story, but that doesn’t tell me why you think I’m this lost child. The name’s common. I doubt I’m the only one within the Amari whose ever been saddled with it.” There was an edge to her voice that alarmed Robert. Casually, he listened closely to the exchange between her and James. The look on James’ face changed as he looked at her. Was that adoration? Infatuation? Idolatry? Damn! He’d talk with the man later, when they stopped for the night. The last thing he needed was for him to get besotted by a pretty face that might be royalty. “A few things. The child had red hair, the only one in the royal family for the last three generations. It’s common enough among humans, yes. But among the Amari the trait is very recessive and hardly comes to pass. Your age is right. She would be twenty-five now, and you are close to the same age.” He hesitated. ‘Don’t stop now. You’re spinning quite a tale.” Alaric spoke up. Roberts glanced at the Islander who sat behind Fin on the horse. His face had hardened, his posture more guarded. The arm encircling her waist tightened. James was treading on thin ice with the man. The intelligence he’d been given didn’t mention any romantic leanings, but it hadn’t talked about her being potential royalty either. James turned his attention to Alaric. “We Amari can sense things. Things that humans cannot. We know when someone is lying, or if they are destined for greatness. Once she is back with her own kind, she will learn how to do this herself.” The emphasis on those two words was enough for Roberts. This stopped. Now. Rather than argue, Roberts nodded in agreement. One room would be easier for his men to watch than five anyway. At least, he hoped it would be. “There aren’t many who would agree with his views.” Fin’s voice, though calm, was still guarded. 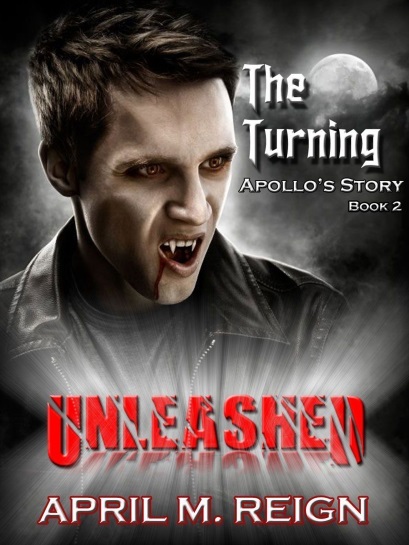 Alaric’s head bent nearer to the woman’s ear and he whispered something that Roberts couldn’t hear. She found it funny, though, as her face brightened slightly and she giggled. Rather than ask, Roberts turned his focus back to the road ahead. A warm meal was going to do him wonders tonight. Born in the late 60′s, KateMarie has lived most of her life in the Pacific NW. While she’s always been creative, she didn’t turn towards writing until 2008. She found a love for the craft. With the encouragement of her husband and two daughters, she started submitting her work to publishers. When she’s not taking care of her family, KateMarie enjoys attending events for the Society for Creative Anachronism. The SCA has allowed her to combine both a creative nature and love of history. She currently resides with her family and two cats in what she likes to refer to as “Seattle Suburbia”. Vampires and More- Author April M. Reign-Giveaway!! Thank you Jessica for giving me an opportunity to be a part of your blog. I’m truly honored. I’m in love with writing. It’s true. I left the company where I worked for over 23 years, so I could pursue my love of writing. It’s a great time for indie authors and these opportunities have given us a chance to share our work with readers around the world. How darn cool is that? If you’re reading this now, I’m touched and honored. If you’ve read my books, well then, I consider you a good friend. Aside from writing, I spend a lot of time with family going to the beach, working out and/or hanging by the pool. I have two wonderful sons that are supportive and loving. 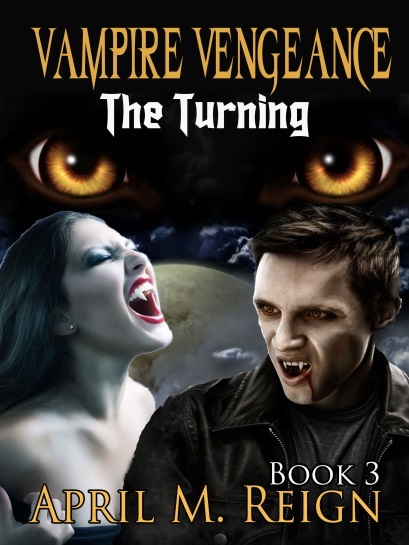 I am currently working on the 4th book in THE TURNING SERIES called Vampire Curse – The Pendant. I’d love to do a GIVEAWAY of books 1 – 3 in a box set to two lucky winners. It’s simple to enter. Just follow the link: http://fluidsurveys.com/surveys/aprilmreign/blog-survey/! Your email address is confidential and will not be used for anything else but to notify you if you’ve won. Here’s what you’ll get: ALL 3 NOVELS! I have a new series that will be out by the end of summer called THE GHOST DETECTIVE. I wanted to include the teaser trailer for you to enjoy. Again, thank you Jessica for giving me the opportunity to share my work with your readers and fans. 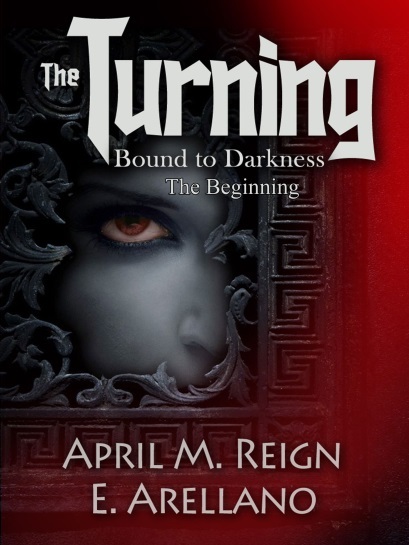 If you’d like to learn more about my writing or my business, AMR Publishing, you can visit any of the following links to say hi. I’d love to chat. Lisa is so ready for a break from the grueling first semester of college. Along with five other friends, she returns to Landry, and hopes to have nothing but fun. Within days, one of the group is the victim of a vindictive stalker, and Lisa herself is now in the man’s sights. No matter what she does, she can’t shake this person. Fred has a little problem, but he figures he can take care of it himself, if he achieves fame with his folk rock band, Olney-Oak Lane Sounds. Then he happens to see this beautiful woman, who turns out to be just like every other woman he’s met. He takes care of her, and is immediately drawn to Lisa. No one will get between Fred and Lisa, absolutely no one. 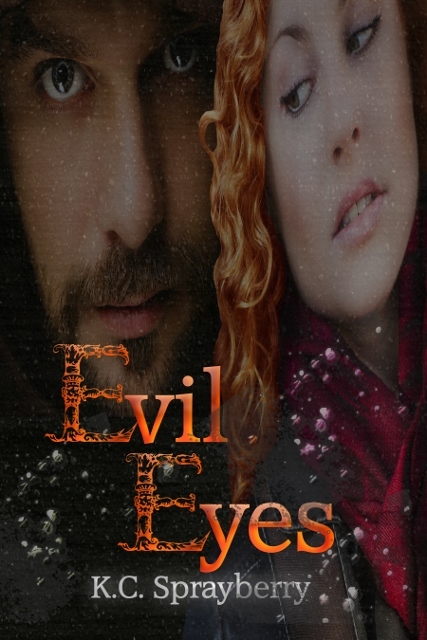 On Christmas Eve, Lisa has to fight for her life and sanity after Fred kidnaps her. She turns out to be very different from the other women, in a way he never figured. 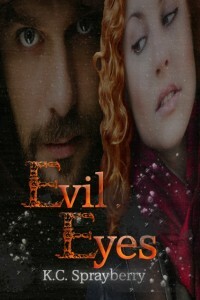 Evil Eyes by K.C. Sprayberry – Stalkers. She’s hot, has gorgeous two-toned hair framing a face that belongs on an angel. You dated a few times, even seemed to get along, but then you moved on. Problem is you work in the same office, and she’s always humming “Call Me” or holding her hand up by her ear as a hint that you give her a ring sometime. You’re so over her. Aren’t you the man? The guy who loves ‘em and leaves ‘em? Who does she think she is? So, you ignore this woman. She’ll get the message. The first text startles you in the middle of an important client meeting “Drinks, sweetie?” You ignore it. To your utter embarrassment, she sends text after text, until you turn your phone off in desperation. Tears dribble from her eyes. You walk away. You’re not a heel. She deserved the curt reprimand. Why can’t she get the message? That night, as you’re drifting off to sleep, your phone alerts you to a text. It’s from her. Your eyes roll nearly out of your head. Again is your thought. The situation escalates until you can’t concentrate. Your job is suffering from her continual contacts. Finally, she sends a text “No one else will have you.” You approach your boss, feeling like a fool. The boss tells you to file a police report and suggests that you change your phone number. The woman is fired for her inappropriate actions. Is this woman a stalker? Yes. Nothing serious has happened except her inability to walk away from a disinterested male, but she crossed the line by text-bombing his phone. Is losing her job right? Ask yourself if you’d want someone working with you who can’t move on from the end of a relationship? Stalkers come in many shapes and forms. They can be the guy who looks totally sweet, a pretty girl with everything going for her. Men stalk both women and men, women do the same. Teenagers even experience this horror. What can you do if you believe someone is stalking you? Document what you believe are stalking actions. Don’t leave anything out. Describe your feelings. Don’t think you can handle this on your own. Stalkers are determined to have their target, or no one will have them. Once the stalker makes a threat, whether overt or subtle, contact the police. Ignoring a threat could very well turn out where you are injured or worse. Most people have phones equipped with cameras and recording devices. Use those to document what’s happening. Save copies of those images and recordings in a secure area, away from your personal computer or phone. Tell a trusted person where the information is, so if the stalker attacks and you can’t speak, what you’ve documented will tell the story. Never, ever attempt to deal with the stalker alone. We’ve all been taught to stand on our own, to solve our own problems. This isn’t a problem you can solve by yourself. Go places in groups. Don’t give the stalker a chance to get close to you. KC Sprayberry started writing young, first as a diarist, and later through an interest in English and creative writing. Her first experience with publication came when she placed third in The Freedoms Foundation at Valley Forge contest while in the Air Force, but her dedication to writing came after she had her youngest child, now in his senior year of high school. Her family lives in Northwest Georgia where she spends her days creating stories about life in the south, and far beyond. More than a dozen of her short stories have appeared in several magazines. Five anthologies feature other short stories. She has three books that are Amazon best sellers: Softly Say Goodbye, Who Am I?, and Mama’s Advice. Her other novels available are: Take Chances, The Ghost Catcher, Family Curse … Times Two, Secret From The Flames, Where U @, The Wrong One, Pony Dreams, and Grace. Her romantic suspense novel, Starlight, releases May 2, 2014 from Muse It Up Publishing.